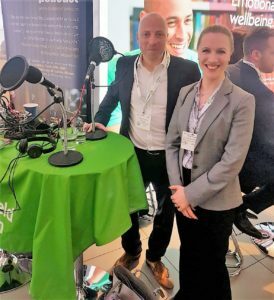 Recorded at Mad World, Europe’s only conference and exhibition putting mental health at the heart of a cross industry, cross functional agenda, and produced in partnership with Nuffield Health, Russell Goldsmith spoke to a number of the speakers from the event. Sir Ian said that we’re seeing a big shift going on right now in attitudes to mental health and particularly mental health in the workplace, but that we’re starting from a very long way back. He added that this is an area where the prevailing issue for years and years has been stigma, people not being able to talk about it at all, but he believes we’ve started to see that breaking down but certainly not gone and a lot of organisations are now thinking “Okay, well I can talk about it, but what do I now do about it?”. Sir Ian said that one of the many things that has been going on as a result of the review is that the Royal Foundation and Heads Together have helped put together a mental health at work portal, which is a place to go, particularly for those SMEs that don’t have big HR departments, to find resources and find ways of tackling this issue. He added that businesses have got to find their own particular language, their own particular way of doing this, but that there’s a lot of common ground and so, one of the keys to his mind is to collaborate on this topic, because he believes that is something that we can learn from each other. Sir Ian said that they started with a blank sheet of paper and decided early on that this was something the Principals [Duke & Duchess of Cambridge and the Duke of Sussex] wanted to really make a high profile impact and that it would be about stigma and support. They wanted to change the stigma and create support. He added that with the network of eight charities coming together and the humility with which the Principals approached this, not with the answers but by the fact they could help shine a spotlight on this [issue] and what they’ve now seen as they went through the campaign has been unbelievable take off of attitudes and interest on this topic once they came forward and talked about, particularly [talking about] their own experiences, which he said was a very brave thing for them to do. He explained that they are now into a different phase, putting together programs for Schools, Services and recently Mental Health at Work. The campaign is therefore pivoting. The workplace is a key force for good in mental health and although there’s a lot of chat about stress in the workplace, actually keeping people at work, keeping them engaged, supporting them and providing that environment is really important, so this is something business ought to be doing. Make the business case, don’t do this as philanthropy, this is in businesses interest to look after our teams and motivate our teams by what we’re doing. Target your CEO because the leadership makes a huge difference in this area. Give them something tangible to do. Don’t just guilt trip them give them a number of things they can actively support in a way that they can contribute because most CEOs he knows do want to help. Dame Carol is the principal of Newnham College Cambridge but has previously held roles including President of the Royal College of Physicians, of the Academy of Medical Royal Colleges and the British Lung Foundation. She has chaired the UK Health Honours Committee, was National Director for Health and Work from 2006 to 2012 and continues to be an expert adviser on health and work to the Department of Health and Public Health England. Dame Carol had just taken part in a panel session at the conference billed as, ‘The future of mental health at work’. She said that the main points that the audience took away were the importance of leadership, of making sure the CEO ‘walks the walk and not just talks the talks’ and the importance of board engagement. She explained that you need to really get the top of the house to understand health and wellbeing and really get behind it. She added that in the panel they talked a lot about how you train and support your line manager to support their people and that they also talked about financial concerns, especially in young people, and how they are financially insecure and yet want flexibility in their work. Finally, they focused on those who often have a very hard time in the workplace, such as ethnic minorities – people who may not really be noticed and looked after well. Independent UK Government reviews on the health of the UK working population. Dame Carol talked through some of the 2016-17 findings of Vitality Health’s latest survey on Britain’s Healthiest Workplace, which was delivered in partnership with the University of Cambridge, RAND Europe and Mercer. Full detailed findings are in the final report. 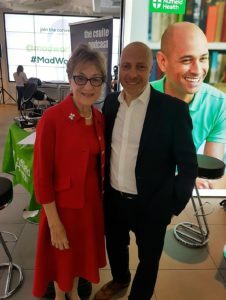 The healthiest workplace survey underpinned the solution that’s been offered in a joint venture between vitality and Nuffield Health called ‘Healthy Workplace’, which Dame Carol is the Chair of. The joint venture is looking to provide large employers with a health and engagement solution for the entire workforce and is taking a holistic approach to employee health, with the aim of improving productivity and boosting the business bottom line’. Dame Carol said that she was attracted to the role because she could see the challenges in the workplace both for the employer and the employee, whether in mental health, musculoskeletal, chronic conditions, worrying about your finance, or bullying at work – she felt that you could see the problems but where were the solutions? 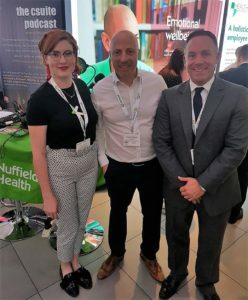 She felt it was a good joining of two organisations but what finally persuaded her was that Vitality Health & Nuffield Health were keen to make sure that every employee got the benefit of the programme. She said that people at the top earn more, they probably eat better, smoke less and they worry more about their health and wellbeing. However, this program is designed to help people such as the porters, the cleaners, and those people who often don’t think this is for them – it’s a holistic view of looking at all the challenges and trying to really provide a solution. With all that she is involved in, she shows no signs of slowing down and she said herself that she needs something to get up for in the morning and needs meaningful activity. She hopes she can go on contributing and having purposeful activity for as long as she can. 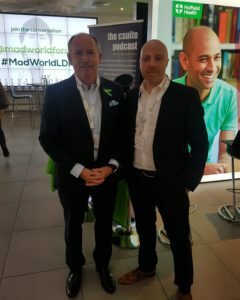 Brendan had been chairing a round table session at the conference focusing on the role that language has to play in emotional wellbeing in the workplace, which, given we were having the conversation at an event with ‘Mad’ in the title, was quite apt! He explained that the word ‘Mad’ is interesting, because normally people with a lived experience of a certain condition tend to reclaim words and ‘Mad’ is probably one of those words. However, he’s feels we have a toxic sort of the language around mental health in the workplace, which makes people reluctant to talk about it and ‘Mad’ is a good example because If you look at the derivation of the word, it means ‘foolish’ or ‘changed abnormally’. He doesn’t think that we’re even at a phase yet, where people see that mental health is something that you can improve and that the debate has moved on enough to maybe use ‘mad’ within workplaces. In his session, Brendan shared some findings from Legal & General’s recent ‘Red Report’ on mental health, that showed that only 4% of employees who had experienced depression and just 5% who had express anxiety, felt able to talk to their manager or superior about it. Yet, a huge 78% of employers believe their employees would be comfortable discussing such problems at work. Brendan said the study is interesting in terms of the double disconnect. 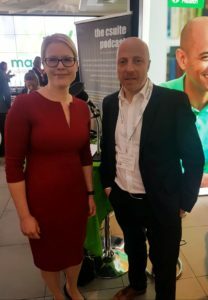 His theory about why low numbers of people are willing to talk about mental health in the workplace is whether employers are almost waiting for somebody to come and talk to them, without realising that on the ground level, people are saying no, yet think they’ve done enough yet to make it a great environment. He said that it is not enough to just do something on Mental Health Awareness Week or Mental Health Awareness Day. You need to do something throughout the year, otherwise people forget it and it doesn’t carry on the momentum. Brendan also said to look at Business in the Community’s 2017 Mental Health at Work report, that stated only 11% of the employees would feel happy talking to their employer. He added that [the study] has been repeated this year, and it’s still only 16%, meaning that’s 84% of people that don’t feel able to talk to their employer. Brendan thinks that part of the reason is that people fear discrimination. He believes that there’s a big volume of people, particularly in the city, that feel that if they put their hand up and say that they’ve got mental health problems, then they feel they will appear weak and I won’t get a promotion and that it will hurt their career. This, he puts under the ‘no way’ category – I’m just not going to talk about it. There’s ‘no why’ – Why would I hold my hand up and tell my employer? What am I going to get? Typically, employers will tell you to go back to your GP or maybe access the employer assistance program, and this is something Brendan said people could themselves and so don’t need to complicate it by involving their employer. Brendan said that companies need to change the language to overcome these issues. He wants to move away a statistic of 1 in 4 of us have experienced a mental health problem in any 12 months, to more of a 4 in 4. He believes we’ve all got emotional wellbeing needs, but that they just vary from day to day, week to week, or year to year, depending on what’s going on in our lives. He feels that 1 in 4 is ‘othering’ and used the example of his lifetime risk of developing lung cancer being approximately 1 in 17. This leads to the feeling that he is with the 15 people on one side, and the one person is over there on their own. He also added that 1 in 4 looks at diagnoses, i.e., what is wrong with you, which he thinks is what puts people off, rather than what has happened to you. Here therefore wants employers to move from 1 in 4 to 4 in 4 to show that that this is about all of us. Brendan also doesn’t want people to feel scared about talking about their mental health and thinks words are important. He used the example of ‘committed’ when discussing suicide as and they’re often paired together, despite the media guidelines saying that you shouldn’t pair the two together. He explained that if you look what else we commit in society – it’s crimes or sins. Another example he used was that we often hear ‘suffering’ depression rather that it be somebody ‘living’ with depression – he thinks suffering turns it into a victim status. He therefore believes is up to mental health professionals, like himself, to do a lot more to say that this is why this language doesn’t work and show what can be done about it. Finally, Brendan wants employer to use signposts within the workplace that say that a conversation from you about mental health is both welcome and expected. This could include a range of things, such as mindfulness drop-ins, resilience training sessions, visible presence of an Employee Assistance Programme schemes or Mental Health Champions. However, the biggest thing might be a CEO who says: I’ve had mental health problems in the past, come and talk to us”. For more information on this topic, please visit the Nuffield Health Corporate Wellbeing Services website. Dr Shaun Davis and Jess Hayes were presenting together at Mad World giving perspectives on implementing wellbeing strategies in two very different sized organisations. Shaun works at Royal Mail, whereas Jess was sharing her experience from her previous role at Wonderbly, which as she explained, is a VC-backed start-up that produces personalised children books. When Jess joined the company, there were about 30 people and their highest point, they reached about 120, mainly made up of talent from the tech space and creative space as well as operations and marketing. Jess explained that she built the entire HR strategy from scratch, which for her, was the joy of working in a sandbox-like tech start-up. They implemented a very clear, robust, mental health program matching mental wellbeing and physical wellbeing policies around how employees could feel comfortable taking sick days if they needed them for any kind of reason. They also partnered with Sanctus, another start-up that provides onsite mental health coaching to employees of various different businesses. Jess said that they also implemented programs internally to counteract the fact that they had limited budgets, which included a programme called ‘Wonder Buddies’, as well development of their values around kindness, curiosity and courage, which all routed in the idea of mental wellbeing for ‘ourselves and our families’. For Shaun, it’s a very different environment. Royal Mail has around 150,000 employees and is 502 years old. He said that in terms of scale it’s enormous. They have 1,400 delivery officers, mail centres and regional offices. However, he thinks that we’re in a really advantageous, fortuitous period now where there’s a lot of societal pressure on mental health awareness and that flows through [the organisation]. He explained that an organisation the size of Royal Mail reflects the country in which we live and operate. They are therefore pushing this [agenda] from a corporate point of view, but he said that there is a real pull from the organisation as well. Shaun’s new book, ‘Positive Male Mind: Overcoming mental health problems’, is sponsored by Royal Mail and their Occupational Health provider Optima with all the royalties going to two charities – Action for Children and Rowland Hill Fund, the Benevolent Fund for Postal Workers. He used Royal Mail as a research base and the book is built on his doctorate, which looked at coaching, wellbeing and organisational culture and the way that organisations respond to the mental health challenge and particularly men. Shaun’s background is in the construction and waste industry, which is a male dominated industry and he explained that Royal Mail is 85% men. He said that the way that men connect with mental health services is very different to the way that women do. The book is therefore very deliberately written to be a quick reference guide, written with men in mind and therefore has short punchy, snappy chapters. However, it’s also there for colleagues, partners, wives, children etc. who can use it to inform themselves and then educate and inform the important men in their lives. Jess believes that one of the things that start-ups do very well is that they launch programs where they partner with other businesses and then iterate on those programs constantly depending on the needs of the employees. She said that this is something that larger companies fear about, i.e. not launching something perfectly, not having the ideal take up, but she suggested that perhaps they could pilot programmes in smaller regional offices, which is something she said she is trying to do McCann Group. Shaun agreed with this and believes in, what he calls, the Nike principle, i.e., ‘Just Do It’, and then iterate and fine tune along the way. He says that you shouldn’t wait for perfection, because if you wait for the perfect strategy, the perfect time and perfect launch, you’ll be waiting a long time! 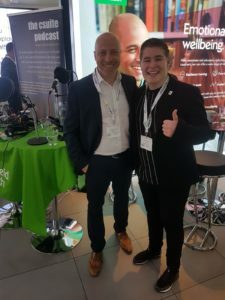 Jack Parsons, CEO of the Big Youth Group, was featuring in an interview on the stage at Mad World to give the millennial perspective on mental health. Whilst in 2017, he was named ‘Young Digital Leader of the Year’ and ‘Most Connected Young Entrepreneur’, he has also faced his own mental health issues in that time which he openly talks about and shares on his social media feeds. Jack explained that he grew up with one school jumper and an alcoholic parent and was given poor career advice. At 25 years old, he now realises that young people face different challenges at different stages of their life and so wanted to set something up that was meaningful and that helps young people to create work and live, hence launching the Big Youth Group, which he described as “a marketplace that helps young people achieve incredible things across the world”. In just 8 months since launch, the Big Youth Group now has over 1,200 people involved, including full time staff, volunteers and ambassadors. They’ve already partnered with over 200 brands. Jack said that for any leader in any business, it’s so challenging and every day you face a new challenge, but it’s about keeping yourself focused. Jack explained that this all started happening when he exited his first business, when he had a number of people around him who had said they were his friends and/or mentors, who then disappeared. It took him about three months until January to post his first LinkedIn status, which said “Guys. I think there’s an issue. Can anyone help me?”. He didn’t know what to expect, but Jack said that post reached 15 million people on LinkedIn alone. He then received 25,000 messages from people saying that they also have mental health and don’t know what to do, which was a real eye opener for him. He therefore wanted showcase that it’s okay to speak up, to get some support and have people around you that are facing the same challenges. Posting that message, however, concerned Jack as he said he wasn’t ready for all those responses as suddenly he was being seen as the ‘expert’ and the ‘specialist’, which he said he is clearly not. Everyone faces different challenges with mental health and as he didn’t know about his own issues, how was he meant to advise someone else? All he could do was share love with individuals and say that it’s okay and to find the miracle, because, for Jack, in every situation there is a miracle. The experience has changed the way Jack approaches he runs The Big Youth Group. He said he is now the most open, transparent book that you’ll ever get. He gives complete ownership and he steps back. As an entrepreneur, he said you want to make sure your product is perfect, but he said nothing is always perfect, including himself. The learnings he has taken from going through mental health is that everyone has challenges and it’s okay not to be okay. Jack said that we live in a world where everyone is Instagramable, that everything is perfect and that you can put a filter on a rainy day. This is a world where it’s not okay to showcase that you’re not okay. He believes that young people, especially 18 to 30-year olds, have it really hard because they’re in a modern world with new technology. If you go online and read about mental health, it can throw you back a little bit, because for Jack, a lot of the advice, on sites like the NHS, is too serious. Jack said the issues are “How do I speak up about it? Who do I speak to?” and again, he reemphasised the fact that young people don’t know what they don’t know, which is the case with mental health too. His advice to anyone who believes that if a friend, family member, girlfriend or boyfriend is going through any difficulties, don’t try and be the expert. Don’t try and think that you can solve their issues because you know them. He said to take advise yourself and instead, become a supporter. Becky Thoseby, Group Head of Wellbeing at the Department for Transport (DfT), joined us after hosting a round-table discussion on the topic of delivering a wellbeing program on a tight budget. The session was attended by delegates from a wide range of sectors and backgrounds, which provided a a real variety of experience. Becky said that DfT take a person-centred approach to wellbeing, meaning that they treat each individual as a unique person with a unique set of wellbeing needs as this makes it much more inclusive as well as recognising that wellbeing is dependent on a multitude of factors, many of which are interrelated. Whilst some wellbeing issues do require specific and targeted interventions, she said that this approach also means that they are able to move on from treating issues like musculoskeletal health and mental health as single issues. For example, if someone’s experiencing depression because of a difficult life event, DfT makes sure that they get the support they need to deal with that then, as well as providing support for their depression. She added that within the overall strategy, they recognise that mental health is an issue that can be both the cause of and the consequence of other wellbeing – it sits as part of web of interrelated factors. Becky said that as she doesn’t have a budget, she has developed a three strand model of how to deliver wellbeing without any money, which was the basis of the round-table discussion she was hosting. Do it yourself – Draw upon your own rich set of skills and resources to deliver whatever you can yourself. For example, Becky is a qualified wellbeing and mindfulness practitioner, so delivers those services absolutely free. Get other people to do it for you – Becky said that the beauty of wellbeing is that so many people are enthusiastic about it, and in a large organisation like DfT, you can have a lot of people who have skills that they can already offer. People willing to volunteer to support the wellbeing agenda. Therefore, DfT has a network of mental health buddies and mental health first aiders, who do this on top of their full-time job for free. Make it look like something else and get their budget to pay for it – Becky explained that she has run some leadership and management training based around wellbeing, getting her Learning & Development colleagues to help her with it, and therefore using some of their budget to pay for it. Build a library of in-house expertise. Whilst she already makes use of the skills and resources that they have in the organisation, and the volunteers to deliver it, what she’d never done was put all those names and those skills down on paper in one place. One-to-one meetings, where you check-in with the person you are seeing at the start of the meeting to find out how are they feeling and then you check out-with them to see how are they feeling at the end of the meeting. Becky felt that this gave the person the permission to talk about themselves and how they are feeling. Importance of a wellbeing brand that is relevant to the organisation and that people could feel is their own and that they can identify with. Finally, Becky wants to see employers recognising that wellbeing is a necessity not a luxury and that it’s actually part of an investment in optimum performance. She would also love compassion being talked about more in the workplace. She feels that compassion is a concept that is quite misunderstood in our society, that it’s often seen as being soft on people or indulging, but actually it’s an essential component of a healthy society and that a lack of it can actually lead to illness. Ian Howarth, HR Specialist in Wellbeing at Fujitsu, had been hosting a round-table discussion at the conference on the topic of ‘Resilience and how organisations can support their employees and create opportunities to engage in mental health and wellbeing programs in the workplace’. getting that balance right between employee accountability and employer accountability – organisations have got a duty of care, but equally, need to make sure that employees themselves have that awareness and are supported in learning and engaging around their wellbeing themselves. 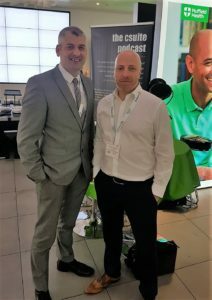 importance of how you prepare your workforce for tomorrow – it’s about looking after today and making sure that your employees wellbeing is cared for, but also making sure that you’re thinking ahead towards the future as well and what future generations coming into the workplace might expect from you. Ian explained that the whole person approach to resilience is recognising that we’ve got to be physically well in order to be our best but also mentally well. However, he said that it’s also about your social wellbeing and your financial wellbeing. Therefore, an organisation that’s looking to support the wellbeing of its employees must operate in the area that allows them to touch all those subjects with your employees. It isn’t just about what you give the employees, it’s about the environment you create [for them], and whether you are using technology in the right way to support the right working practices, that enable that person to strengthen their resilience in all areas. Online conversations – which helped bring employees into the conversation without the need for them to feel that they’ve got to be away from their desk or away from the job to get involved. Line manager round-tables – where they talk to a select number of line managers and help them with the skills and confidence to facilitate the session. 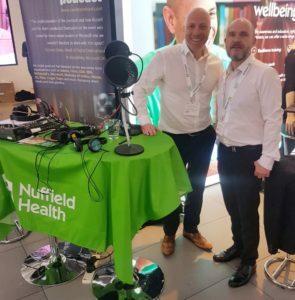 Ian believes it’s important that when Fujitsu introduces wellbeing activities into the organisation, whether that be physical or mental wellbeing, that they get line managers involved because they are the ones that effect change at the grassroots level. The discussion Ian took most from the day was around how you make sure your organisation is fit for the future in the context of wellbeing. Some of the challenges that our young people face today in terms of their mental health and how that’s been supported for them now with various channels through education systems and charitable organisations means that with that level of awareness, when those individuals transition into the workplace, their level of expectation on employers is going to be heightened as well. He said that organisations therefore need to make sure that they are ready and able to respond. There was therefore a real mix of client, contractor, regulator and Public Health Support, which Judith said provided a nice dynamic. What organisations can do, to gather the data and actually provide the business case for investment as well? Judith doesn’t believe the construction industry is any different to other sectors in terms of the challenges faced in getting boardroom buy-in for health, safety and welfare strategies. In fact, she said that in some respects, they are probably helped by the focus on safety that they have within the organisation, because obviously construction is high risk. The focus on safety is therefore paramount. Safety is the number one priority within the organisation and by default health should also be that priority. However, Judith said that isn’t always but within the organisation, they are starting to get a bit more parity between the focus on health and the focus on safety. She added that as an organisation, they want to obviously avoid harming people at work, whether that’s physically or psychologically, and that they know that the Health and Safety Executive has a real focus around managing stress at work – musculoskeletal disorders, respiratory health, etc. She also said that emotionally, the Boards care about their people and want to do the best by them and want to make sure the support’s in place so that people get the best out of their work life and their home life as well – it’s not just about avoiding regulatory responses and managing stress but actually, it’s just the right thing to do. Mace carried out a large-scale wellbeing survey across the organisation in November 2017, to better understand some of the leading indicators around health and wellbeing in the organisation. They looked at psychological wellbeing, resilience, engagement, motivation and physical health and how those actually impacted on productivity and presenteeism in the organisation. They found that ultimately, the wellbeing of their organisation is good, but at site level, you could see those sites reporting higher levels of wellbeing, often had higher levels of productivity and less presenteeism and were more resilient. Mace were therefore able to cost that and build a financial business case for investing in wellbeing, which is what they’ve now done. Judith explained that the company is now investing in a five-year health and wellbeing plan that’s closely aligned to business goals and objectives of the business plan and is a top priority. According to the Office of National Statistics, the UK Construction industry reported more suicides than any other profession in the five years to the end of 2015. With male suicide around three times that female suicide, we asked Judith if she felt that the male dominance in the industry had any reflection on that in terms of not talking about mental health. For example, whilst this is clearly not any reflection of that statistic, Mace’s own Board is very male dominated with just one woman out of 10 propositions listed on that website. Judith’s response was that it true to say that the construction industry has had issues in the past in terms of diversity but as in industry, and not just in Mace, you are starting to see a greater diversity. However, the male dominance is also within the actual construction sites and not just at board level, i.e. the people delivering the projects. Whilst there are females that work in construction, the majority are men and therefore are the highest risk population, in terms of demographics, around suicide. She added that in construction, people often stay away from their homes, their families and their support networks and so it can be lonely, plus it’s a stressful occupation. Therefore, what the industry, as a collective – principal contractors and clients together – needs to do is look at mental health within our workforce, and how they can support people, because Judith said Mace’s supply chain may be on their site one day, but on a Skanska site the next and another construction company’s another day.